Before George Mallory’s doomed attempt to reach the summit of Mount Everest in 1924 he was asked why he wanted to accomplish the feat. “Because it’s there” came his famous retort, and this sums up the nature of our fascination with summiting the tallest mountain on Earth. One such mountaineer was Rob Hall, whose business Adventure Consultants specialises in taking people who pay handsomely to the top of tall mountains, and Everest in particular. Director Baltasar Kormákur sets out to tell his story and the tale of the 1996 Everest summit attempt and definitely succeeds in getting across the magnitude of the journey and the size of the task at hand. What he also succeeds in is what makes the film particularly powerful though. Kormákur’s true triumph is that he gets exemplary performances from his actors who bring the humanity out of all of their characters, giving the beautiful spectacle some emotional heft. Jason Clarke excels in the lead role as Rob Hall, and provides the pivot for the others to base their performances on, with stalwarts like Josh Brolin and Jake Gyllenhaal also giving the roles their all. Both Keira Knightley and Emily Watson are just as great as Kormákur knows just how to ground his spectacle in reality, always making sure that events have an impact and don’t just feel like stunt sequences amid beautiful scenery. 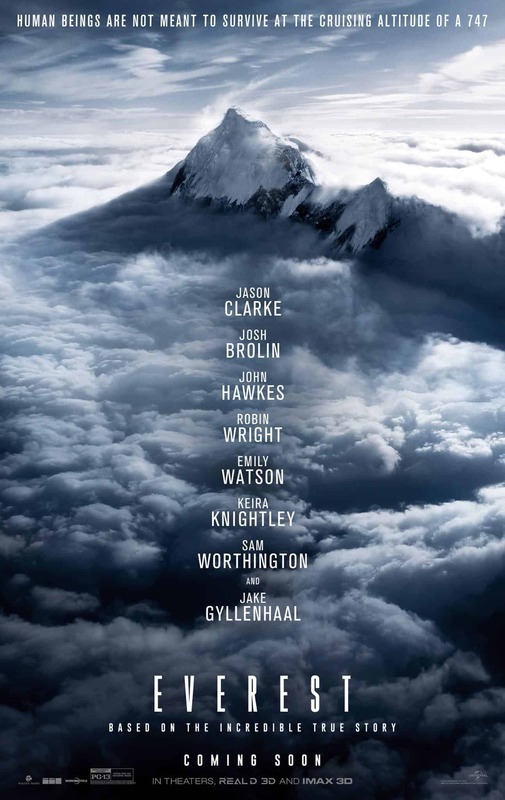 What ‘Everest’ succeeds in doing is making you care. Sure, you may think these people crazy for trying to climb a mountain that doesn’t hold back when it comes to trying to kill you, but the film makes you empathise, even understand. The film could have indulged itself in its spectacle, of which there is plenty that is breathtaking to look at, cinematographer Salvatore Totino ensuring that every shot lives long in the audience’s memory. It doesn’t though, and therein lies its strength, ensuring that we’re emotionally invested, in the main characters at least. It is true that there’s a pretty large group of climbers and so we don’t get to know very many of them, but it’s understandable that the number of people gives us an idea of the scale of the operation and those that we do get to know are well drawn and interesting. A mention also has to be given to Dario Marianelli’s fantastic score, which provides a powerful emotional base for the film to work from. Kormákur hasn’t always been the most reliable of directors, films like ‘Contraband’ and ‘2 Guns’ are disappointingly generic and without the necessary verve to be memorable. What he’s managed here though is something that hits all the right notes. While its subject isn’t the most original it still takes work to ensure that the drama doesn’t feel forced and a mixture of stellar acting performances and astute direction ensures that.